While the soul of a champagne is typically created by blending, the downside in merging together dozens or hundreds of individual wines is the loss of individual vineyard characteristics. As is the case with any premium wine, champagne also reflects the typical features of its growing location. Wine lovers are increasingly interested in this aspect of champagnes, and single-village (monocru) and single-vineyard (monoparcelle) wines have gained great popularity and appreciation, particularly among sommeliers and wine enthusiasts. 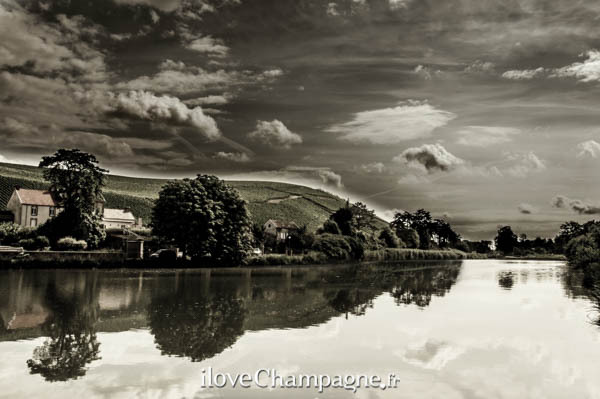 Monocru wines introduce us to the characteristics and typical features of the region’s villages; Salon, made exclusively from grapes grown in Le Mesnil-sur-Oger, is the most widely known monocru champagne. However, many small producers source their grapes from vineyards located in one village only, which means that their products are monocru champagnes de facto. Monoparcelle or single-vineyard wines are in fashion today. As the pioneer of this trend, Philipponnat started making monoparcelle wine from the grapes of its unique, 5.5-hectare vineyard Clos des Goisses, in 1935. Other famous single-vineyard wines include Krug’s Clos du Mesnil and Clos d’Ambonnay. Also representing Grande Marque producers in this segment are Billecart-Salmon with its Clos Saint Hilaire and Taittinger with its Les Folies de la Marquetterie. Despite the increasing popularity, monoparcelle and monocru wines still remain, first and foremost, the products of grower-producers. Lacking the blending possibilities of large champagne houses, showcasing the character of individual vineyards is a natural choice for them. With pedant vineyard work they can manufacture magnificent wines even at vineyards that may not achieve top ratings in the echelles des crus classification. Monoparcelle wines can never have the multidimensionality or harmony of blends; they are singular top wines presented as such. A key element in the philosophy of these wines is producing them in a manner that emphasises the best terroir-specific qualities. This is why they typically feature low dosage or no dosage at all. In the quest for maximising transparency, many of these wines are made of organically or biodynamically grown grapes. Also, low sulphur seems to be more and more the regime.